Love that I feel I can trust these guys. The did a very thorough review of the car I was considering purchasing. They gave me a great expectation of issues that needed repair. Excellent customer service. Unfortunately the work done solved one issue (replaced outside temperature sensor) but created another (blind spot detection disabled), requiring a second visit. 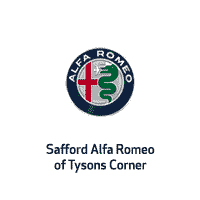 The team at Safford Alfa is unfailingly courteous and is good with follow up. My vehicle is new to the States as of 2017 model year so there has been a learning curve among all involve. Both service advisors , Bill and Masson, are super friendly and give their honest opinion about the service required. Making appointment is super easy and the service is prompt and efficient. Excellent customer service from David. He gave me plenty of time to think about my purchase before signing the papers. No pressure from him at all. I highly recommend this dealership for sales and service.